Air-conditioning in buildings is regarded as one of the system power consumption number one. Last time, after a lot of changes, an air-conditioning system energy savings unsurpassed had come to market. However, due to a limited number of Vietnam markets as well as objective factors which bring air conditioning system energy savings have not yet been deployed on a large scale, effective and long-term positive for the community . - Currently most of the design work in Vietnam only mention issues of architecture, art and ensure the bearing capacity of the contructions.These issues have a great impact on energy consumption as well as minimize the space used for the device comes also received little attention. 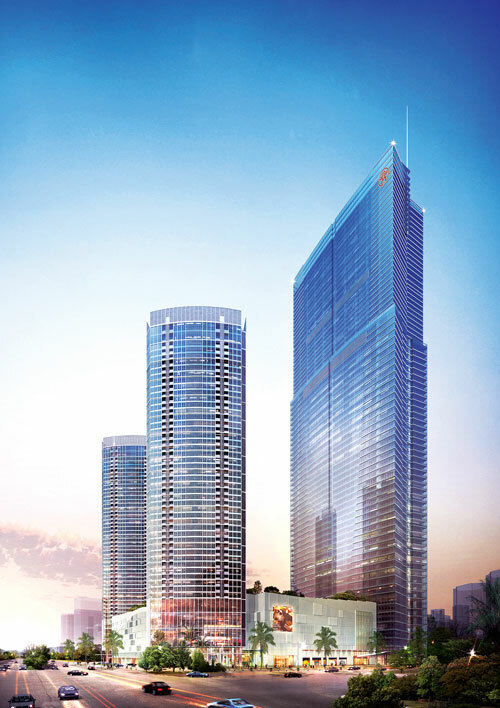 With the high-rise apartment buildings, experience design, central air-conditioning system using the Inverter technology wise investment solutions and efficiency far greater than the use of air conditioning locally. The air conditioning system uses energy-saving inverter technology the latest generation today help bring not only effective but also use more efficient economically. - Previously, the long from the outdoor unit to the indoor unit low, so installation condition of air conditioning equipment face have many difficulties without losing the flexibility of landscape architecture, the building. With the new conditioning system saving the energy, with intelligent design, the improvement of environmental quality pipes, allowing length from outdoor unit to the indoor unit as far as possible up to 225m and a maximum height between outdoor unit and indoor units can be up to 110m, the maximum total length of refrigerant piping up to 1000m. This is outstanding, which regulate energy efficiency equipment brought back, the architect can design more flexible on all 4 directions: left, right, front, easy layout applies to all buildings. - In addition to the superior features of the length from the outdoor unit to the indoor unit, central air-conditioning system using the new inverter technology can also save up to 30% of the refrigerant piping installation and 50% outdoor area outdoor installation compared with other systems of the same capacity, due to the design and installation of the machine has a compact size. After installation, central air conditioning system have a wide range to 500mm in the front to create space in order to cater for the installation and operation and maintenance, compared to the old technology needs to 900mm space air conditioning system, the new technology reduced 50%. Because of these advantages, so that the installation, operation and maintenance easy and simple. - In terms of technology, the truly cooling capacity of th normal air conditioners use energy only at a level, which means that cooling energy in one of two states: stop - play. Specifically, when put power 60% of air conditioning will play in 60% of the time and stop play in the remaining period. - The power supply interruption would like to make the power supply is interrupted. This has created the phenomenon of electrical waste. And this is also pretty big limitation of not less air conditioning today. - To solve this drawback, inverter technology Inverter launched has created a breakthrough in bringing the waste to energy loss clicked. Inverter Technology Inverter replacement of transformers and capacitors inverter circuits typically found in cooling capacity in the energy levels low, medium and high with many advantages. The innovative product helps regulate the new generation inverter technology Inverter features outstanding energy savings. Inverter Technology is progressive when compared to the technology used in traditional air conditioning hoakhong . For buildings and structures , central air conditioning systems new generation coefficient COP ( coefficient of frequency ) bring high economic efficiency . With these new enhancements , help central air conditioning products more energy saving feature which is due to higher compressor inverter technology improvements by ND magnet , saturation of large and Hipor oil recovery technology to help circulate the oil in the compressor thereby making better machines operate smoothly , smoother. The categories conditioning new generation is designed with various power range for indoor units from 5,000 Btu / h to 96,000 Btu / h and the outdoor unit is from 6HP to 80HP . The system is capable of achieving 4.25 COP cooling levels , equivalent to 27 % higher efficiency than conventional systems and the ability to save up to 30 % energy by integrated technology controlled by the variable with wide frequency range ( 20 Hz - 120Hz ), while the former only product range 25Hz - 105Hz . In addition, the radiator fan is designed using a new type BLDC inverter technology (a technology electric motor brushless) high speed and low noise this was partially reduced power saving consumption for air conditioning. In addition, parts distribution platforms refrigerant in hot new styles are designed to help increase the efficiency of heat transfer coefficient and fin condenser wider to increase the heat exchange efficiency from 23% to 28%. Thanks to the cold cycle using telescopic tube technology products that regulate the new generation has a part to save energy costs. In addition, by coupling 4 modules have reached maximum capacity should 20Hp/modul system can achieve a total capacity of up to 80HP. These improvements help fast cooling system, are no vicious wind phenomena, can achieve the desired temperature for 10 minutes while the system generally takes at least 20 minutes. In addition to these energy saving features , a requirement that the generation reaches the air conditioner needs to achieve new product that is environmentally friendly . Based on the innovative technological system central air conditioner new generation is using R410A refrigerant , type of refrigerant is environmentally friendly , to minimize the threat to ozone layer . On the other hand , due to the new anti- leak design and function automatically detects refrigerant leaks , the help function when reusing solvents need to carry out repairs malfunction of the system should be limited to the phenomenon lowest refrigerant emissions into the environment , has helped reduce the cost of new replacement refrigerant , just limit the production of carbon dioxide , the cause of the greenhouse effect . 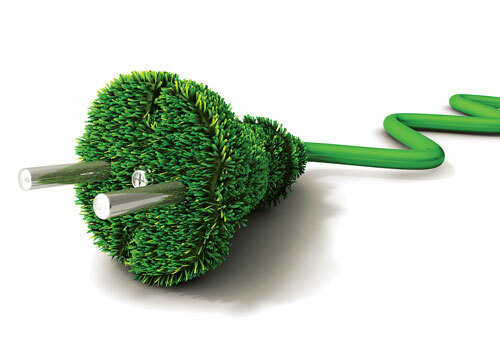 With energy issues increasingly urgent as now, the use of energy with high efficiency become the primary objective of this hoa.Viec manufacturers of air conditioning applications new generation technology orientation will be important for buildings and works good help for the realization of the green economy towards sustainable development.